The "3/4" is the largest of the current line of helmets, it offers the most protection covering the ears and cheeks as well as your head. 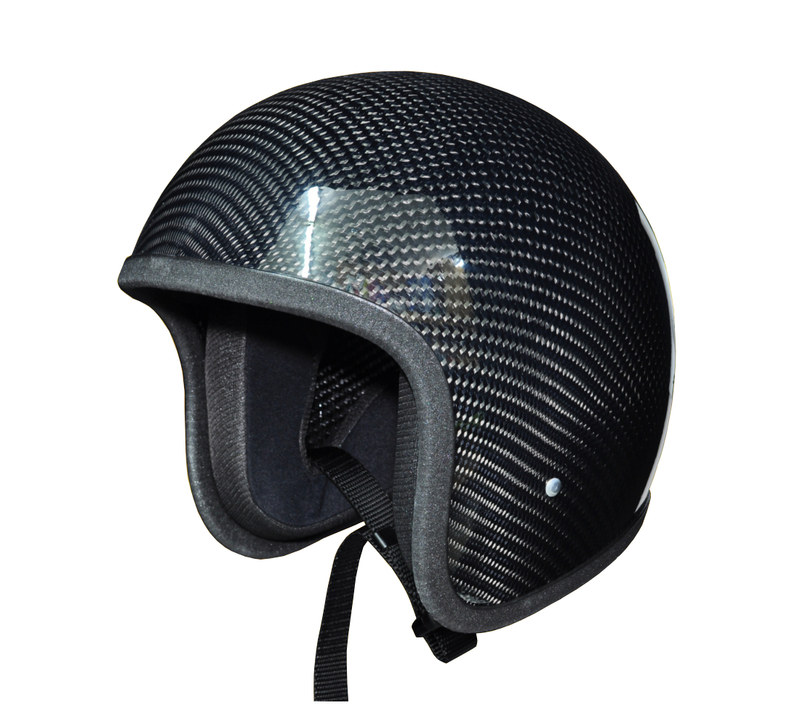 The shell is made from the same Carbon/Kevlar material used in all of our helmets. The liner also uses the same Ensolite liner and sizing material as the other helmets. All Universal use helmets come with a quick disconnect unless you want D-rings. These helmets come with various Velcro attached sizing pads to create the perfect custom fit. The interior of this helmet is extremely comfortable. We can install button snaps on request.